Properly trimmed trees can mean the difference between a healthy lawn and brown spots, helping to protect your sidewalks and your home’s foundation. Whether you live in Phoenix, Glendale, Peoria etc, we urge you to have one of our qualified estimators come out to your home and give you a comprehensive overview on the services that we offer. The upper portion of a tree is referred to as the crown. That is where most of the trimming and pruning takes place, and it all has a purpose. 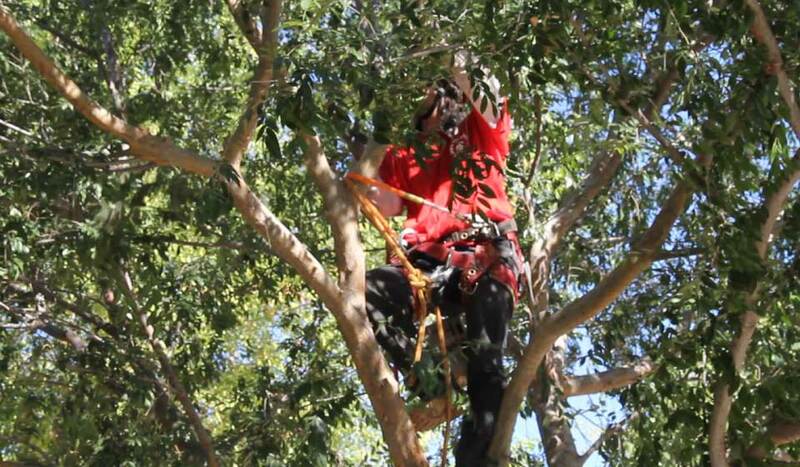 Jasons Tree Service Arborists’ can thin the branches in your tree’s crown to allow wind and sunlight to pass through easily. 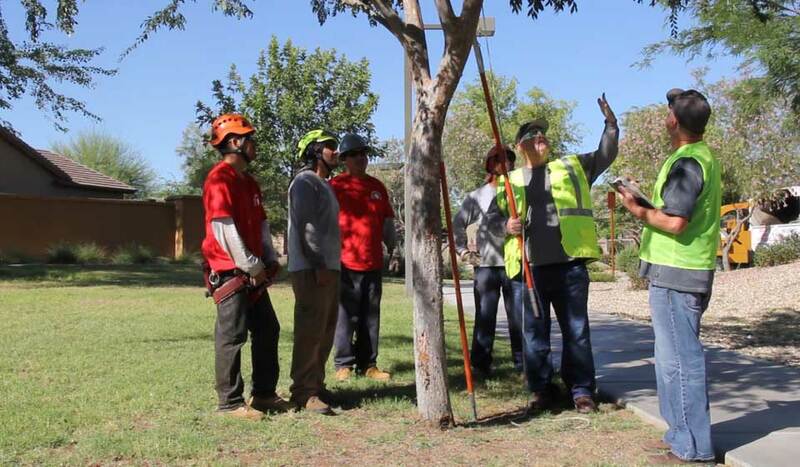 This reduces the likelihood that your trees will get blown over during the next monsoon, while improving the amount of light that passes through your trees and to your lawn to promote healthy grass growth. We can also remove the dead and diseased branches from the trees crown, which encourages the growth of stronger and healthier branches. Our experienced technicians can also raise the crown by trimming the lower branches to prevent the branches from damaging your home or hanging down over your sidewalks. Tree branches that touch the side of your house become entrance ways for animals into your home and start to damage your siding. 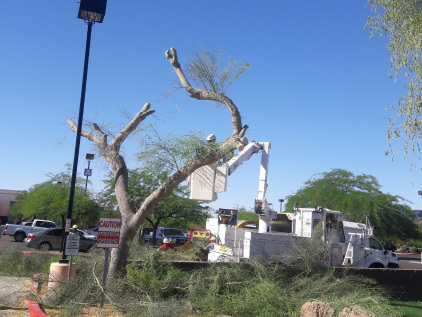 Jasons Tree Service specialists’ can prune and trim the branches of your trees so that they do not touch your home, the power lines, the cable television lines or your phone lines. We can clean up your trees and give an appealing look to your landscaping.